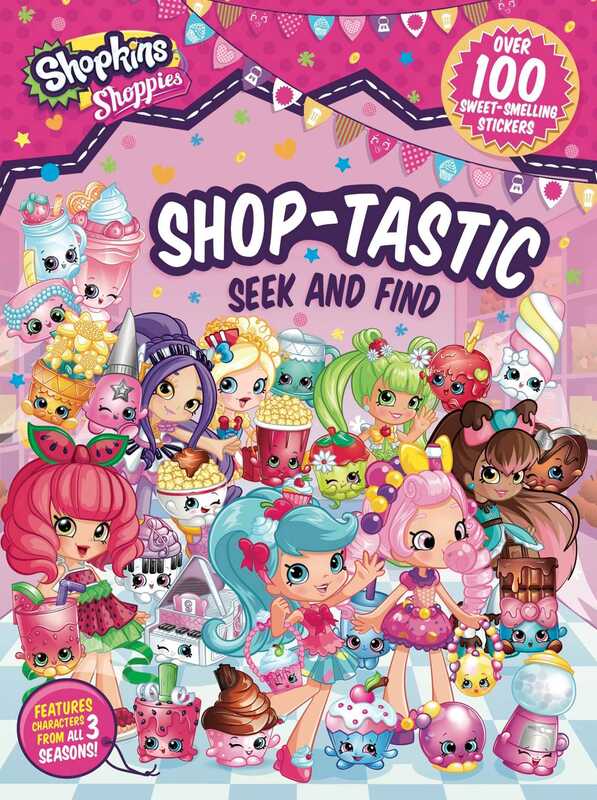 Spot the adorable Shoppies and Shopkins hiding all around Shopville in this seek and find book that comes with over 100 sweet-smelling stickers! Seek and find the many adorable Shoppies and Shopkins in this brand-new book! Make your way through Shopville and search for all your favorite characters, including Jessicake, Bubbleisha, Peppa-Mint, and Donatina. Can you find them all?